On the Path to Some Home Grown Feasts! 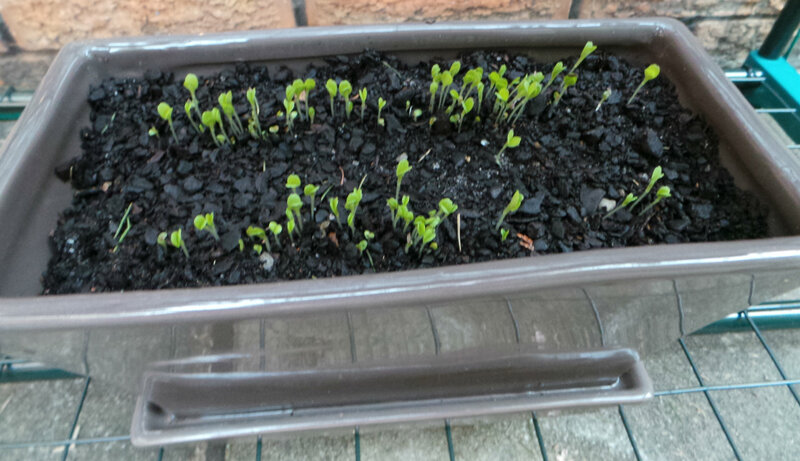 It started with a windowsill pot of chives. Something The Boy could watch grow. Now there are plans! Plans for a veggie garden! I am beyond thrilled, as I have been wanting to grow a few veggies at home. As there are five of us in this house, self-sustainment is out of the question. But we should be able to have a few nice things. Mainly Boy safe food, and things like pick-a-leaf lettuce mix, cherry tomatoes, and cucumbers. I’m pretty determined to start everything from seed, and this really is the time to get planting, so I have started on a few things. 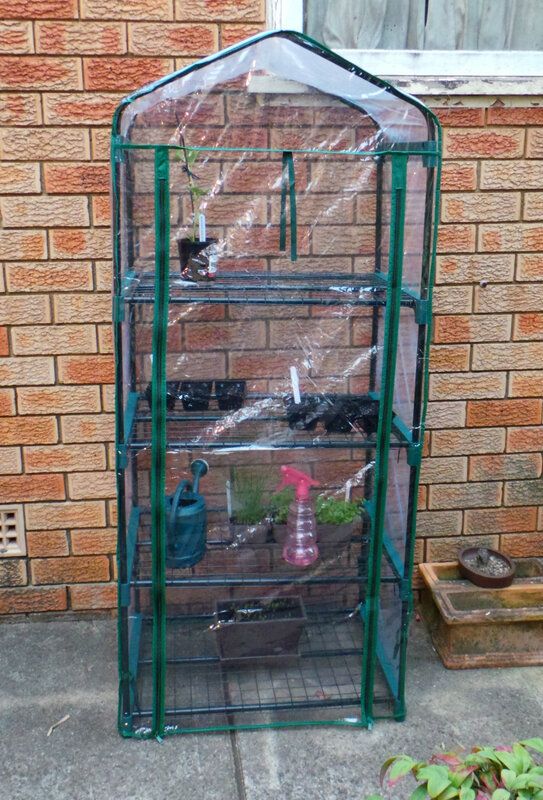 The In-Laws picked up a little greenhouse so we can start propagating some seeds, and it really is working a treat. 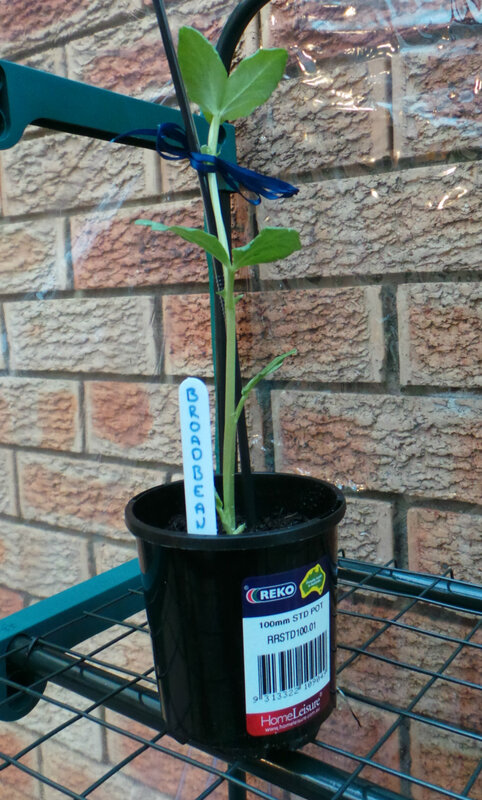 We have a broadbean plant, which has sprouted from a seed that The Boy got to plant on an excursion to Vaucluse House earlier this term. It didn’t show for ages after some of the other kids plants, but now it looks strong and keeps growing! I have also planted some pick-a-leaf lettuce mix, leeks, and broccoli. Some of which has started sprouting after only a few days in the greenhouse. I’m THRILLED. I think I’m going to need to start the cherry tomatoes soon too, if I plan on having any ready to eat during the summer. MORE SEEDS!!! Do you have a green thumb? Do you plant edibles or flowers? Do you have any suggestions for what to include in our little garden?